times to visit for the cooler, more pleasant weather. Like the rest of this region of the world, Taiwan also has a wet season. The northern part of Taiwan tends to be colder and wetter than the tropical south, and monsoons hit the island at different times of the year: the northeast monsoon lasts from October to March and the southwest monsoon lasts from May to September. However, rainy weather also equals lower crowds and huge discounts on accommodation, though Saturday-night rates tend to stay the same year-round. Very fun small city with lots of outdoor adventures and city foods to enjoy. The water tracing tour is a must for any tourist and I will remember how fun it was for my group for the rest of my life. Water rafting tour is also very fun, but in the winter (December) it is actually cold, windy, and the water level is low so there almost no rapids or current. There is also a tour of the national park here which has some amazing views. Shrimp fishing is something you have to check out. There is a fun arcade, a gambling arcade, and a nice movie theatre. The night market here is big, spacious, and really clean! The food isn't as good as Taipei night markets but still a lot of fun. Famous movie place near the train station. There is also a popular place here that serves something like a deep fried onion pancake with egg that is super popular here that is super bomb but a long line. I'd call Hualien a resort town of sorts. It's laid back, far less densely populated than the other big cities, has wonderful food, beautiful beaches, and Taroko national park is only about an hour away. 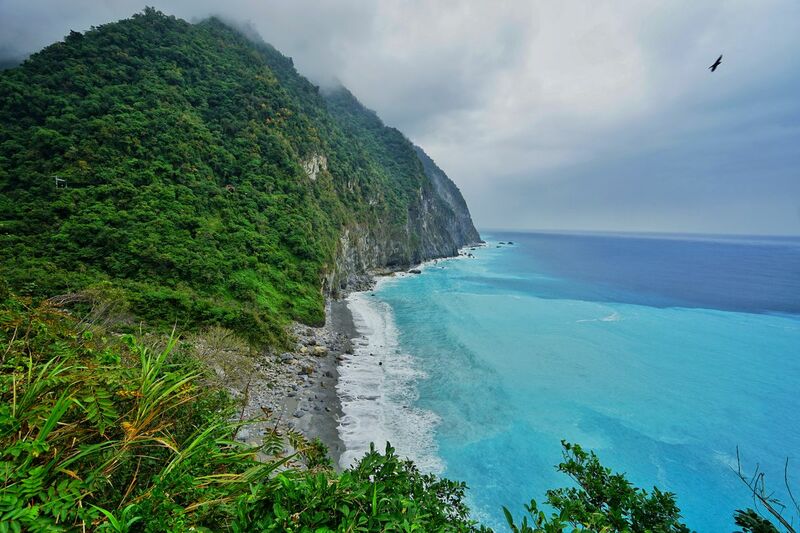 Travel to Hualien is simple - hop on a train from Taipei and you'll be there in about 3 hours. Delicious Hualien's local snack. It is a must try.